A corrupt system. A city in meltdown. A rogue cop, bent on revenge.Who will deliver justice? 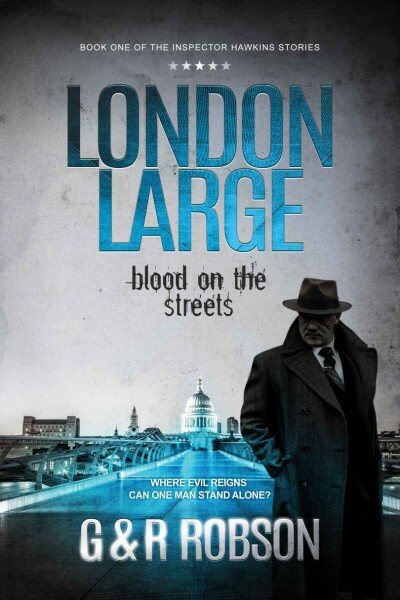 Blood on the Streets is the first in the London Large crime thriller series, featuring the exploits of Detective Inspector Harry ‘H’ Hawkins, an old-school London copper with over thirty years of besting villains under his belt. When a bloody international gang war threatens to rip the metropolis apart, ‘London’s top copper’ finds himself under siege. If you like the hard-boiled, gritty and action packed novels of Martina Cole, Stephen Leather and Andy McNab you’ll love Blood on the Streets – let it take you through a thrilling rollercoaster ride through the dark underbelly of criminal London.